Taking a trip along the Great Ocean Road is on the bucket list of almost all travellers passing by Australia. The road passes through some of Australia’s most stunning coastline, taking in rainforest, sunburnt cliffs, shipwrecks, and, of course, the famous Twelve Apostles (a formation of rock pillars up to 200 feet high.) – of which there are now eight. Straddling the entire Victorian coast from Torquay to Warrnambool, the Great Ocean Road is a road trip institution: a rollicking 250-kilometre ride through some of the most epic rainforest and scenic coastline in the country. On this road trip, you get to have an encounter with exotic animals like anteaters, kangaroos, penguins, koalas, and multi-colored parrots, or have a swim or surf at the countless beaches. Pro Tip 1 – Go beyond the Apostles, all the way to Port Campbell National Parkwhich is home to Loch Ard Gorge, site of a 19th-century shipwreck; the Island Archway, which collapsed in 2009; and the cliff-face Gibson Steps. Pro Tip 2 – If you’re only driving in one direction, start in Torquay. That way you’re on the ocean side of the road, making it easier for you to pull over for any of those countless photo opportunities. You might want to check this out if you plan on doing this trip. The famous Manali to Leh road trip is one that has changed many people’s lives, and is something that has to be experienced first-hand. Passing through two 5000 m and two 4900 m high passes with jaw-dropping views, the Manali-Leh road was built as an alternate to the Srinagar-Leh road. It remains the mecca for bikers and an adventurer’s delight. Starting from Manali, the road passes through Rohtang La, Baralacha La, Nakee La, Lachung La and Tagalang La high-altitude passes, when it enters Leh Ladakh – the land of passes. Once in Ladakh, you cross the might K Top or Kharadung La, when you go to Nubra Valley (famous for Double Humped Camels), and Chang La, when you head towards Pangang Tso lake. The distance between Manali–Leh is 478 kilometres (297 miles) and the whole Manali – Manali circuit including Manali – Keylong / Sarchu – Leh – Nubra Valley – Pangong Tso – Leh – Jispa – Manali, usually takes 6-7 days. Keep in mind that the distance is not that much, but the high altitude and the conditions of roads makes the ride gets exhausting normally open from June 01 and officially closes around September 15 every year, once Winter comes. A visit to the Amalfi Coast, is a highlight for many travellers, traveling to Italy.There’s something truly breath-taking about driving along the Mediterranean Sea.There are a number of roads to take but the most popular one is from Sorrento, in the south to Salerno, having a pristine coastline on one side and pastel-coloured villages, green mountains, and historic churches on the other.With architecture that is warm and inviting, you may find that the only thing on your mind is, if it’s too soon to stop for pizza again. The highlight of this road trip is that there are plenty of scenic stops like Amalfi, the church Duomo di Sant’Andrea, Positano, the cave Grotta dello Smeraldo, and Michelin-starred Rossellini’s restaurant in Ravello, which sits right next to the water. The magic of the Amalfi Coast Drive is not only in the road, but how easily it transports you to another world that you may just never want to leave. Running through archipelagos in the municipalities of Eide and Averoy, this 5.2-mile road features eight different bridges and offers spectacular views of the Norwegian Sea is one of the most scenic drives in the world. The Atlantic Road takes you from lush coastal landscapes and heaths to bare rocks along the exposed Hustadvika, where you can see the sun sink into the horizon. This National Tourist Route has been called the world’s most beautiful drive and has been voted the “Norwegian construction of the century”. The road was opened in 1989 and is toll free. The curvy road dips and arches over the brutal waves of the Norwegian Sea that often crash over the pavement during storms. This unique highway will bring you out to the very farthest point where the land ends and the ocean begins. The contrasts between a trip on a sunny and tranquil summer day compared to a foam-sprayed journey in a storm from the northwest are huge. But whether the ocean is flat calm or cascading over the road, the Atlantic Road experience will give you memories for life. Iceland’s famous “Ring Road” takes you around the country on “Route 1.” The trip is almost 900 miles and is pretty self-explanatory as it does a large circle through the Nordic island nation, and allows visitors to see all regions bar the Westfjords and Snæfellsnes Peninsula, but most importantly, the road connects the capital, Reykjavík, to the second biggest city in Iceland, Akureyri, in the north of the country. Along the way, you’ll find glaciers, black sand beaches, a plethora of Icelandic moss, volcanoes, wet deserts, 10,000 waterfalls, geothermal pools, and if you’re lucky, you may even catch the magic of the Northern Lights a few times too! Now throw in the occasional glacial ice cave or an erupting volcano, and you’ll realize what traveling in Iceland is actually like, appreciating its beauty first hand. The road was completed in 1974, with the opening of Iceland’s longest bridge, crossing Skeiðará river in southeast Iceland. In 1998 a tunnel below the fjord Hvalfjörður shortened the drive around Iceland by about one hour. The Hvalfjörður tunnel is the largest tunnel in Iceland, 5.8 kilometres (3.6 miles) long and an impressive 165 metres (541 feet) below sea level. You will come across a number of popular tourist attractions are as you travel along the ring road. In the south, you will pass the glaciers Mýrdalsjökull and Eyjafjallajökull; waterfalls Seljalandsfoss and Skógafoss; the Jökulsárlón glacier lagoon and the black-sand-beach of Reynisfjara. You’ll find the largest forest in Iceland, Hallormsstaðaskógur, In the east, along with lake Lagarfljót, which is said to contain a monster, records for which date back centuries before the Loch Ness Monster. If you travel along the north, you will pass by Lake Mývatn and Goðafoss waterfall. Many historical settlements and beautiful fjords, lie on the west. The Pacific Coast Highway is a stunning stretch of winding road that makes its way down the California coast. Not the fastest way to travel, but the views are what makes this drive truly superb, the journey worth your time. You’ll pass by ocean side cliffs, giant waves, beautiful rock formations and lovely bays, making it quite easy to get distracted making the drive a bit hazardous at times, as there are some sheer drops along the way. A lot of adventure travellers have taken a liking for Bolivia’s Death Road, specially, the extra daring who’d like to take on the challenge of navigating the road via bicycle. Kicking off at well over 10,000 feet, the road, which is also called the Yungas Road, descends into a rainforest before terminating in the Bolivian town of Coroico some five thousand feet below, and ever since Bolivia built a highway around it, the road is largely void of traffic and mostly used for tourism. Pro Tip – If you plan to go for a drive on this road, make sure to leave after 11 AM, as that’s when the cyclists have finished. If you like taking road trips, and Bhutan – The Kingdom of Happiness is on your bucket list, then this 7 Day Itinerary to Bhutan is what you need to check out. Pin It for future ! Wow, super list for a road trip. The one Iceland ring road looks amazing if I would have gone for a road trip I pick only that destination first. Thanks for sharing such wonderful road trips in the world. The Corniche, along the coastline of the French Riviera from Frejus to Cannes is another stunning drive, albeit a shorter one. Thanks for the suggestion. Definitely going to be checking it out in the future. All eye-popping Arnav. The prettiest road trips I ever took occurred on the South Island of New Zealand this year. The place does not look real. Thats interesting Ryan. Thanks for the suggestion. You have got them all right, I’d say. Even though I haven’t been on most of them, I’ve heard and read a lot about them all. Iceland’s Ring Road is on my bucket list for 2019 and Australia’s Great Ocean Road is happening in March 2019 as well. I was sad that I missed out on Amalfi Coast when I went to Italy, as I did also the Atlantic Highway in Norway. The Atlantic Road looks gorgeous, and I love Norway in general so would love to check that one out. One that I would add to the list is the coast of Croatia – you can drive all along the coast and it is just stunning. Well I’m over 40 so I guess it’s too late for me now. I probably should just settle down with a suduko puzzle book and dream about all the cool things us over 40’s are not allowed to do any more. I’ll live through your escapades instead, feeling grateful that I’ve at least visited most of these before I was too old to drive a car. Oh you are sure as hell going to enjoy the ride to Leh. Don’t forget to do the Leh to Srinarar leg via Kargil. We love road trips and have loved driving the Amalfi Coast, Iceland’s Ring Road and the Pacific Coast Highway. But I’ve never thought about India as a destination for a road trip but really like the sound of the Manali to Leh route. Though it would take a long time for me to go for these road trips but I must say it looks all interesting and I surely want to go on these road trips and explore the world around me. 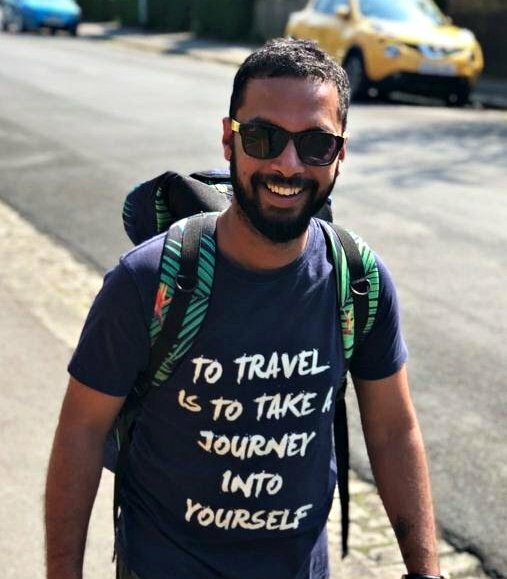 Thank You and Keep writing more such travel articles and blogs. I have done the ring road in Iceland and I can highly recommend it. The nature and views are just incredible. FRom this list I would like to go to Bolivia, it looks really awesome. Will keep in mind this list, thank you.